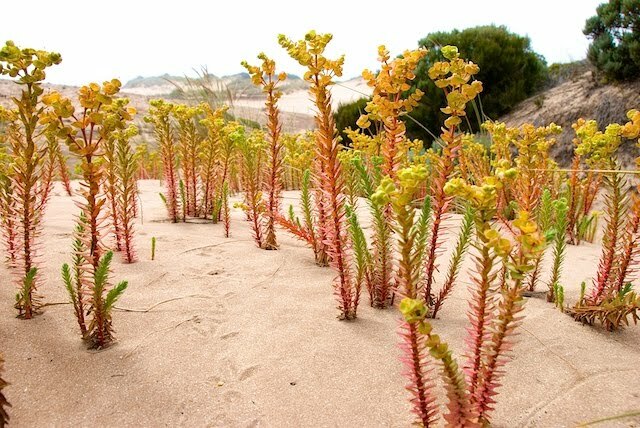 I love these little dune plants, but I'm not sure they can be trusted. We are currently camped among a sea of their cousins, but they are all bright green, the way the books say plants are supposed to look. Perhaps these were getting ready to attack!